RSW- Artwork page, "Winter: From The Studio Window (25 x 30)"
This painting is one of 3, possibly 4, versions of what we are now calling the "Winter: From the Studio Series." 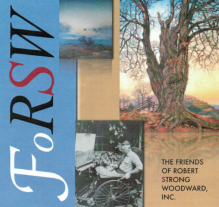 There is a Scrapbook story devoted to Woodward's possible mistake in his artwork diary that has caused us a great deal of fits and confusion. The following diary comments are taken from Winter: Scene from studio window. 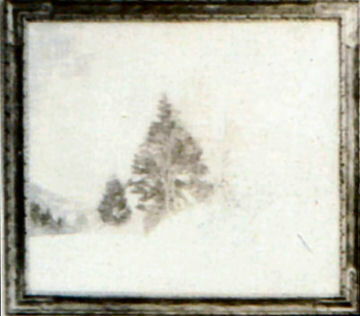 This is the same painting as the one listed as Winter. 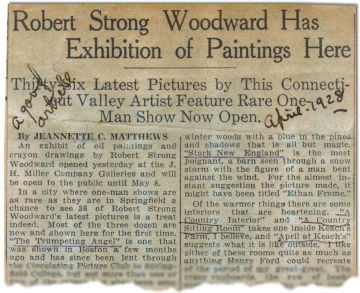 This piece was exhibited at the 1928 J. H. Miller Co. Galleries Exhibition along with 37 other paintings and chalk drawings. Click on the article to the right to see the full article. This is the same painting as the one listed as Winter. There is also an "Unnamed" page. 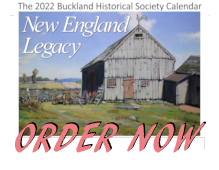 It is not clear to the administrators of the website if there are 3 separate paintings or they are all simply the same painting. Furthermore, it is very possible that Winter From the Studio Door is equally similar. Currently (Feb. 2016) the website staff cannot find another exhibition where Winter has appeared. 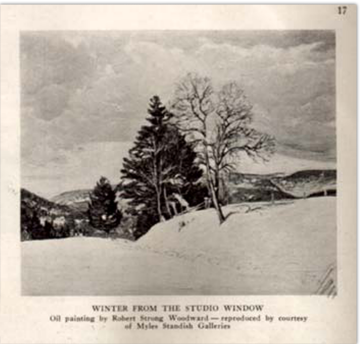 However, Winter From the Studio Door did appear at the Myles Standish Gallery in 1931. 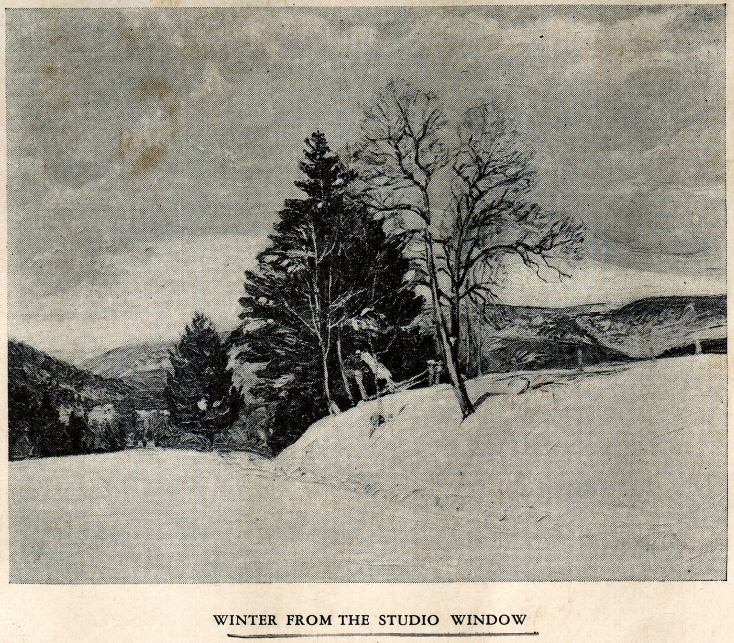 Finally, we could not find any exhibition where Winter From the Studio Window appeared despite documentation noting it.